ZCP's efforts and programme staff span across Zambia in critical ecosystems that include the Luangwa Valley, Liuwa Plain and Kafue National Park. A wildlife ecologist, Matt joined the project in 2008 as the CEO and Programme Director and oversees all research, conservation and capacity-building/education efforts for the organization. An Affiliate Research Faculty at the MSU Department of Ecology, he has over 20 years experience on a variety of wildlife field research and conservation projects in North America, Antarctica, and Africa, studying numerous endangered species. Matt conducts and coordinates programme activities with the support and collaboration of the Zambia Wildlife Authority (ZAWA). His fields of research interest and expertise include predator-prey dynamics, conservation biology, and behavioral ecology. Matt is also an Honorary Wildlife Police Officer for ZAWA. Kellie founded the programme’s activities in 1998 and over ten years expanded the organization from “one researcher and a Toyota Hilux” into a highly successful and internationally collaborative conservation programme. The endangered African wild dog was ZCP’s first flagship species and the programme aimed to conserve it and other highly mobile mammal species across the landscape in the beautiful Lower Zambezi National Park. Over the following years Kellie successfully developed the organization’s multifaceted approach to conservation of combining research, community education and on-ground conservation activities. 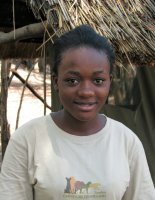 She also secured the organization’s sustainability and its capacity to deliver a diverse range of conservation outcomes by establishing partnerships with organizations such as the Zambia Wildlife Authority, local NGO’s including anti-poaching and community education organizations, University research partners, ecotourism operators and international donors. 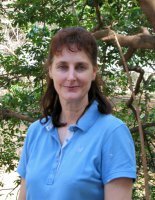 During her time in Zambia, Kellie completed her PhD through the University of Sydney; her key fields of research expertise include conservation biology, population genetics, and behavioral ecology. Integrated into management and policy documents, her research findings and recommendations attracted funding and support from WWF-Netherlands from 2005 onwards, enabling rapid expansion into South Luangwa and beyond. Kellie has been awarded numerous research grants, awards and scholarships which provided additional core funding for the work. She resigned from the Board of Trustees in 2009, now applying her expertise and experience back home in Australia, Kellie hopes to help change Australia’s record for having the worst mammal extinction rate in the world. Johnathan Merkle joined ZCP in 2012 after a two year stint with Peace Corps as a rural aquaculture instructor. With a degree in Zoology, Johnathan has participated in a range of field research projects including bonobos in the DRC, wolves in Minnesota and as a volunteer in a wildlife rehabilitation centre in Namibia. Johnathan is now the Project Manager for the ZCP South Luangwa research programme. Thandiwe is a Senior Ecologist at ZCP and manager of the organisation's conservation education program. She grew up in Mfuwe and was a former conservation club member. She joined ZCP as an intern in 2009. Thandiwe is currently completing a Master's degree at the University of Arizona, focusing on lion demography in the Luangwa Valley. In 2016, the National Geographic Society nominated Thandiwe as one of their 13 Emerging Explorers in recognition of her efforts to protect large carnivores in the Luangwa Valley, through research, community environmental awareness and youth empowerment. Dr. Sichande received his veterinary education at the University of Zambia before working as a vet with domestic animals. 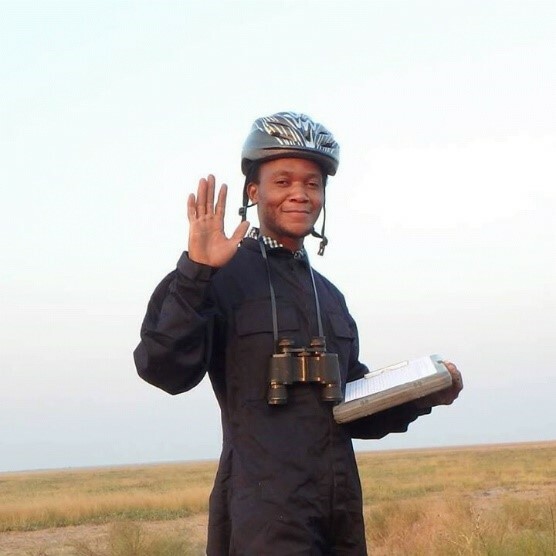 In 2013 he joined ZCP and Conservation South Luangwa as a wildlife veterinarian. He now is one of the most experienced wildlife vets in the country and has been vital in de-snaring efforts in particular, darting an array of herbivores and carnivores in addition to his research support and overseeing poison response efforts. Henry Mwape is a Senior Ecologist and coordinator of ZCP\'s conservation education program. He was raised in Mfuwe and is a former Conservation Club member. Henry joined ZCP in 2010 as intern while he was still at the University of Zambia. He is currently involved in all aspects of the organisation\'s carnivore research and leads the camera trap study on leopards. In 2017, Henry will be pursuing a master\'s degree in Wildlife Management at the University of Arizona. Since graduating from the University of Montana in 2012, Ben Goodheart has worked extensively as a field ecologist, conducting a wide range of research on migratory songbirds, small mammals, forest carnivores and venomous snakes. His dream of working on African carnivores started at a young age and Ben joined ZCP as a field ecologist in April 2016. Gibson Banda is part of the ZCP research team in Mfuwe, Eastern Zambia. He initially joined the team in 2009 and, after a brief re-allocation within ZAWA, he re-joined the Luangwa team in 2013. Gibson assists with all field research and, when not in the field with ZCP, partakes in anti-poaching work with DNPW. Reuben is a Department of National Parks and Wildlife scout, seconded to ZCP in 2014 to work as an assisting ecologist. He has been receiving intensive training on all aspects of field research at our ZCP study site in South Luangwa. Originally from Mwanya, Benny was sponsored during his secondary school education by ZCP and is a graduate of the ZCP-CWET Conservation Club programme. He now is a full-time member of the research team for ZCP\'s Luangwa project, having gone through the extensive Conservation Biologist Training Programme. He also assists with the Conservation Club outreach programme. Mercy joined ZCP in August 2016. She is the first recruit into the Women into Wildlife Research Training Programme. In addition to conducting field research, Mercy will be a conservation educator and academic tutor to senior secondary conservation club students. 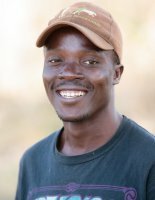 A graduate of Copperbelt University, Teddy enrolled in ZCP\'s Conservation Biologist Training Programme in 2013, before becoming a full-time ecologist with the Liuwa project. He has also worked at ZCP\'s South Luangwa and Kafue sites. Teddy is hoping to conduct his graduate work on hyena and cheetah at Montana State University. Kings is a graduate of ZCP\'s Conservation Club programmes in Mfuwe, and has volunteered with vet Dr. Sichande both during and after his schooling. He is currently working with ZCPs Liuwa project as a field assistant and hopes to secure funding to attend school in a natural resources programme in 2017. His dream is to become a wildlife vet. Apart from conducting field research, he has also initiated ZCPs conservation education programme with local schools. A former member of Mfuwe Conservation Club, Stanley was awarded a South African Wildlife College scholarship in 2014 to study for a certificate in Environmental Education and Conservation. He earned \'Most Outstanding Student\' for the course before returning to Zambia to work as an assistant field biologist for ZCP in Liuwa. In September 2015, Stanley returned to full time education studying for his science A Levels, in preparation for entry into veterinary school at the University of Zambia. He continues to work for ZCP during term breaks. Caz joined ZCP in 2014, after completing her masters in Cape Town. Her thesis focused on the use of underwater camera traps to monitor species abundance and diversity of fish in marine protected areas. Prior to joining ZCP, she worked on various research projects across Africa, including okapi in the Democratic Republic of Congo and gorillas and chimpanzees in Gabon. Caz is now Project Manager for ZCP\'s research programme in the Greater Kafue Ecosystem, where she has been based for the past two years. Dr. Kambwiri Banda joined the ZCP team in 2015, after receiving his vet degree from the University of Zambia in 2014. He is the field-based vet for ZCP\'s Greater Kafue Project. As the only field vet in Kafue, his presence is critical for the important de-snaring work that ZCP undertakes in the area. Another former conservation club member from Mfuwe, Dr. Banda\'s versatility as both a vet and a skilled field researcher makes him a valuable member of the team. Banda is also involved in the delivery of Kafue\'s education outreach activities, in collaboration with Treetops School educational facility. Milan Vinks joined ZCP in October 2015, and has been involved with work across the programme\'s study sites. He now focuses his efforts in the Greater Kafue Ecosystem of central Zambia. Prior to his work with ZCP, Milan was involved in various research projects in the United States, specifically those focusing on Canada lynx and grizzly bear conservation in northwest Montana. Lameck Sakala is a graduate of ZCP\'s Conservation Club programme, who joined our Conservation Biologist Training Program in 2015. 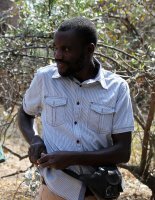 Originally from the Luangwa Valley, Lameck is now an integral member of ZCP\'s research team in the Greater Kafue Ecosystem. He works as a Field Assistant as well as an environmental educator through our partnership with Treetops School and educational facility. Prior to ZCP, Lameck worked as a voluntary wildlife educator with Chipembele Wildlife Education Trust in Mfuwe. Fiona joined ZCP in June 2015 as Finance and Operations Manager and oversees much of the day to day management of the organisation. She began life as a commercial marketer, before returning to full time education to study zoology. After graduating in 2007, Fiona worked as a volunteer in various positions in the conservation sector and then as Conservation Communications Manager, Liberia, with Fauna &amp; Flora International. She then joined the Wildlife Conservation Society\'s Russian Far East programme, as Grant Manager for a USAID funded, SMART anti-poaching tiger project. Fiona completed a Masters in Applied Ecology and Conservation in 2013 at the University of East Anglia. She has a passion for cats (of all denominations!) and considers herself to be in the best place in Africa for close encounters of the felid kind! Tabu joined ZCP in 2013 and is responsible for managing all the stores and vehicle parts as well as general camp maintenance. Born and raised in Mfuwe, Francis joined ZCP in 2010 as a trainee mechanic. After five years of fixing bush-bashing Landrovers he has become something of an expert in bush mechanics. Doris has been with ZCP since its start up in 2007 and is from the local Kakumbi chiefdom. Her duties include general housekeeping and laundry and she also ensures that the camp is stocked with freshly baked bread and muffins. Originally from the Northern Province, Keshious moved to Mfuwe in 2005 in search of job opportunities. He was hired by ZCP as night watchman in 2014 and is also responsible for general grounds maintenance.